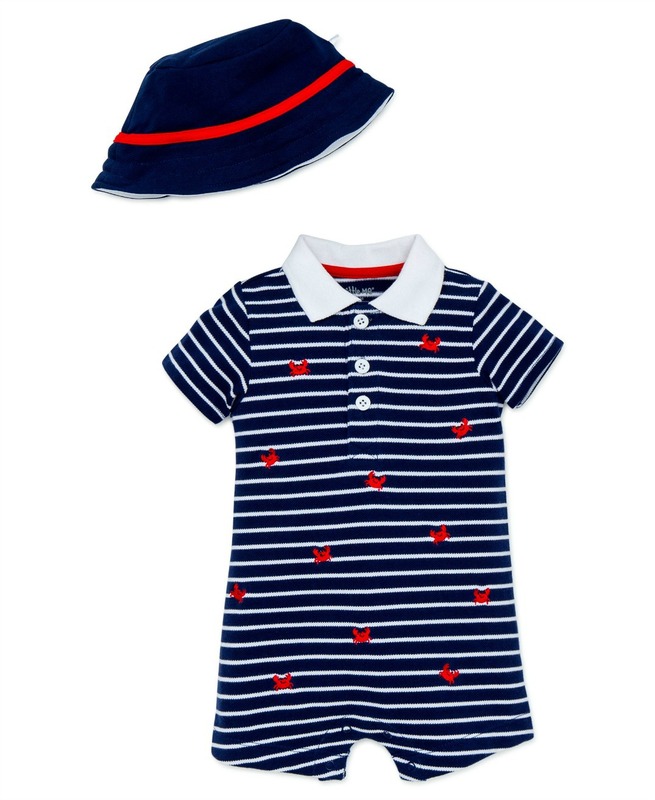 Cute Little Me navy knit crab embroidered romper and matching roll brim knit hat. Machine wash. Imported.